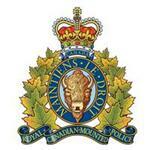 RCMP Alberta - On April 17, 2017, the Fort Macleod RCMP received a report of theft of copper wire from a rural business in Fort Macleod, AB, overnight. Approximately $15, 000 worth of copper wire was cut out of heavy equipment and stolen. The RCMP would like to remind the community to secure all equipment and to report any suspicious activity.